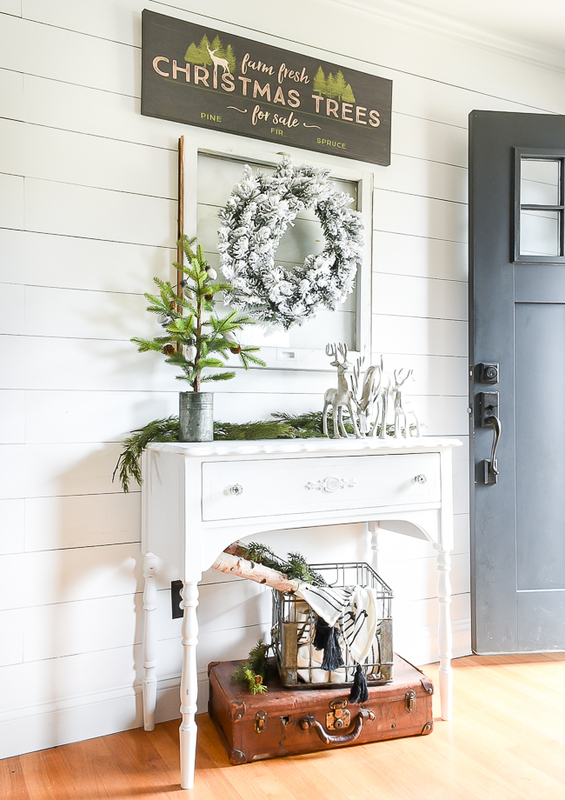 A good cleaning, fresh paint and gorgeous hardware make all the difference in this simple entry table makeover. 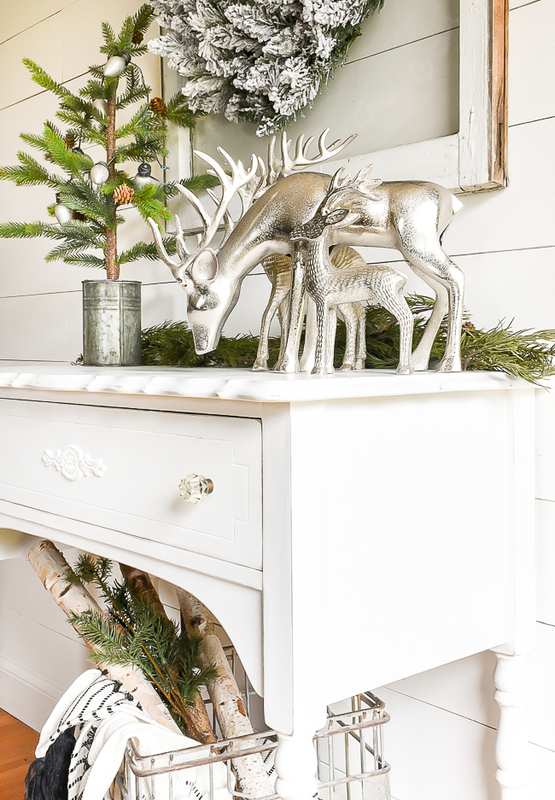 Recently, I was given a curvy little entry table that had quite the colorful paint job. Sometimes a furniture makeover requires a lot of work and sometimes it just needs a little cleaning and a fresh coat of paint. This was one of those times when a good scrubbing and a little make-under made all the difference in bringing a piece of furniture back to life. 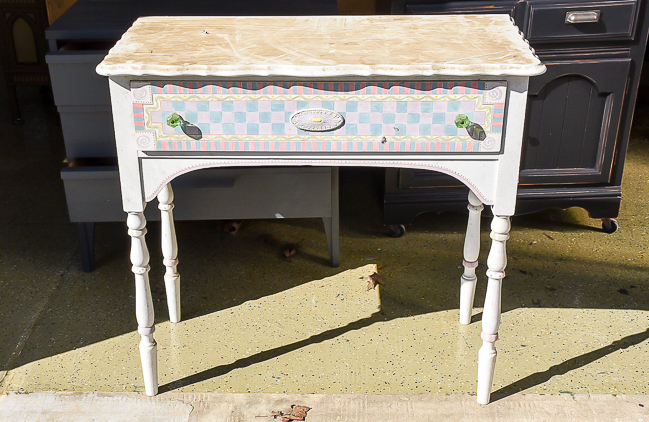 Let's take a look at how this colorful little entry table looked before. It had quite the coat of dirt and grim and a very detailed and colorful paint job. It's hard to tell, but there's even stripes and polka dots painted on the legs. Someone spent a lot of time painting this piece and I'm sure it was perfect for a little girls room, but I was after a more versatile look. 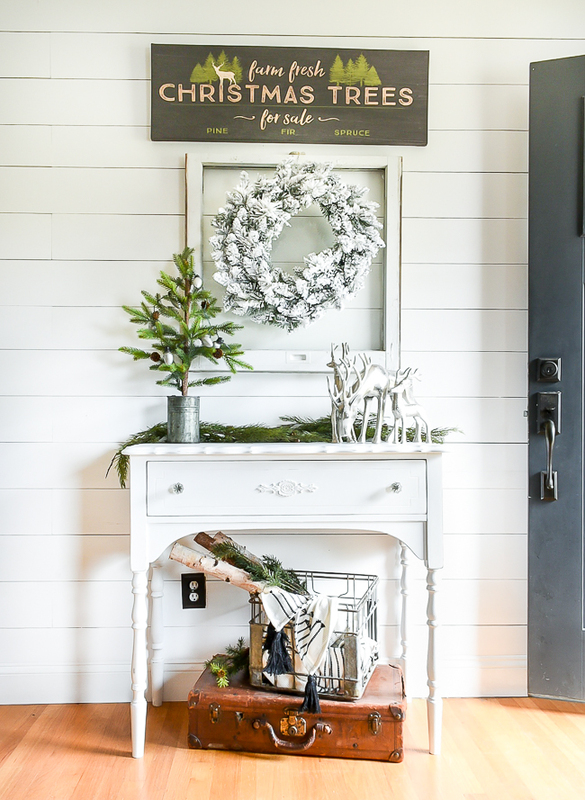 Its petite size made it perfect for an entryway so the more neutral I could make it the better. I removed the current decal, wiped the table down with Simple Green then gave it a good sanding using my orbital sander and 120 grit sandpaper. After cleaning off the sanding dust I added a new decorative decal (using wood glue) then gave the table 3 coats of General Finishes Snow White. I lightly distressed around the edges then sealed the paint with General Finishes Satin Finishing Wax. I moved the table into my entry to take pictures and it fit right in with my current Christmas decor. 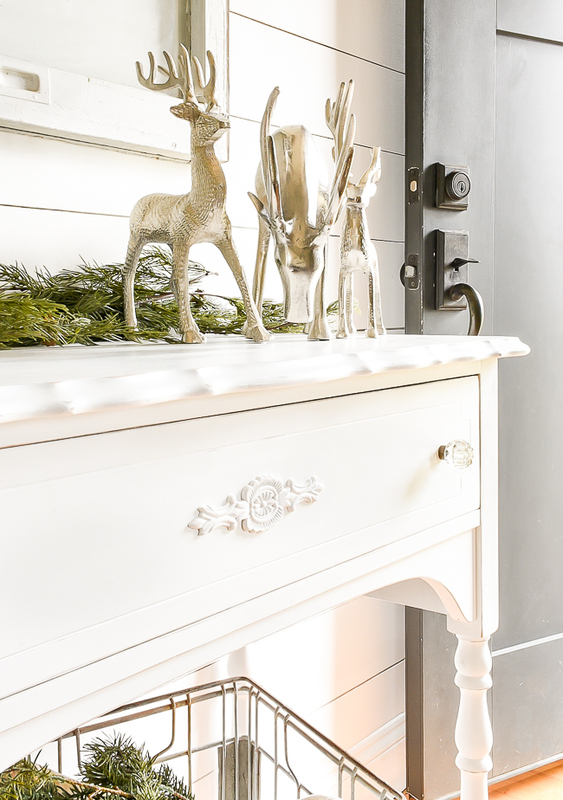 The curvy top, decorative accents and spacious drawer make it perfect for a small space entry. 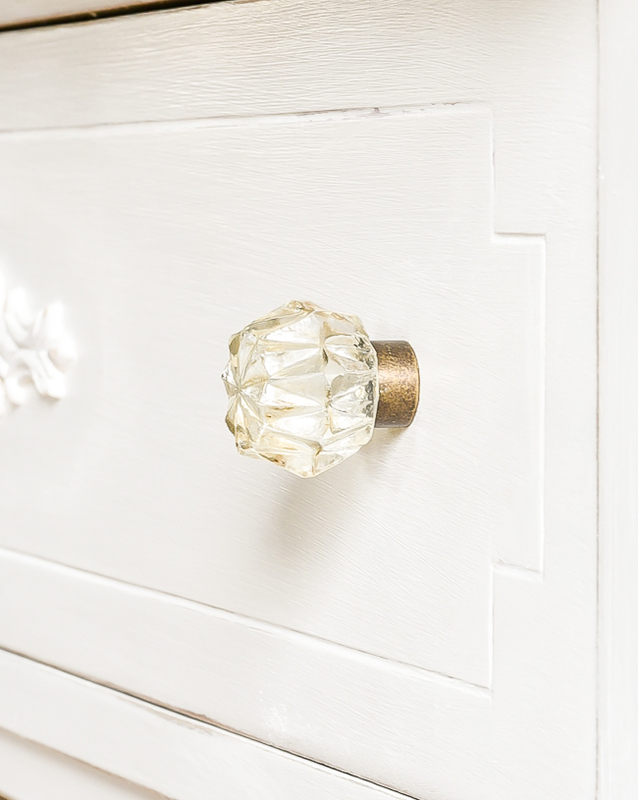 My favorite part of the table makeover are the gorgeous new knobs. I bought them from Hobby Lobby a few months ago in hopes of using them on a future furniture makeover. I knew they were perfect for this little table as soon as I put them on. 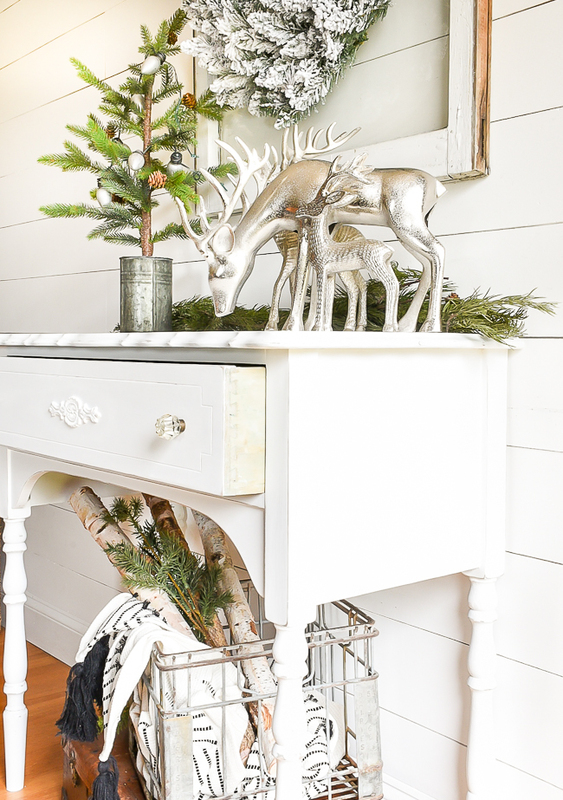 This petite little table is the perfect example of when a good cleaning and paint job make all the difference. Just perfect! I love your site! Great ideas, especially from seeing before and after with the instructions! Thank you!